Margaret L. Behm has earned a reputation as the go-to person in 40 years of representing clients and forging coalitions for change. Today, Behm’s practice concentrates on business law, employment, municipal law, land use, estate planning, bankruptcy, and commercial litigation. Behm also serves as general counsel for the Metropolitan Transit Authority. 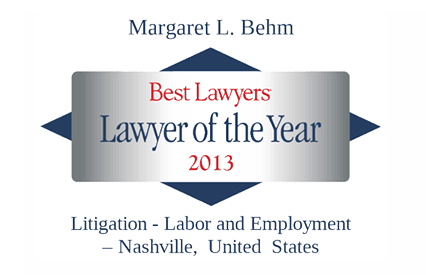 Behm has been selected by her peers for inclusion in editions of The Best Lawyers in America© in the field of labor & employment law each year since 2001. 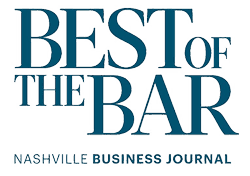 She was named the 2013 Best Lawyers ® Nashville Lawyer of the Year for Labor and Employment Litigation and the 2016 Best Lawyers ® Lawyer of the Year for Municipal Law in the Nashville area. For the 2018 edition of the publication, she was selected for inclusion in eight practice areas: corporate law, employment law (for both employees and management), municipal law, labor & employment litigation, non-profit/charities, and commercial litigation. Since 2003, Margaret has served as General Counsel for the Metropolitan Transit Authority, for which she also serves as Board Secretary. For more than seventeen years, Behm served as general counsel for the Metropolitan Development and Housing Authority. 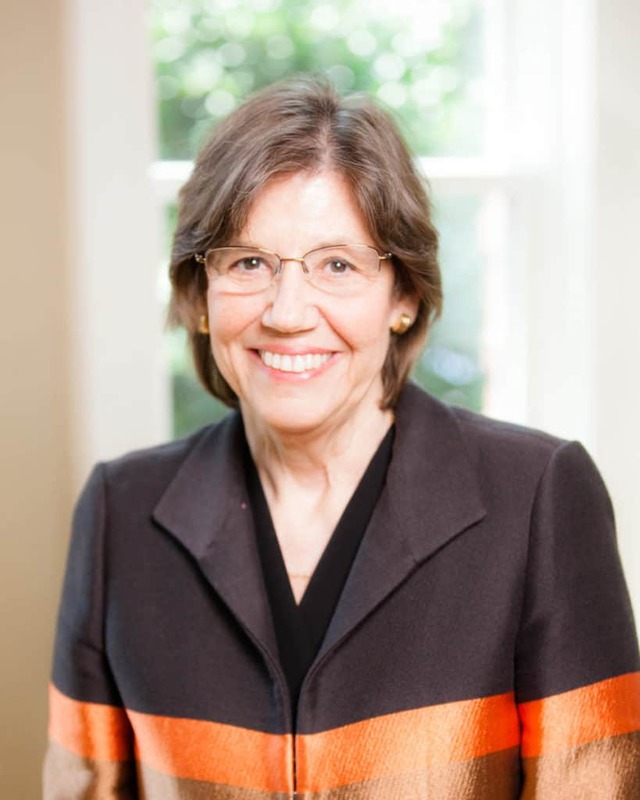 She taught courses including Legal Writing, Trial Advocacy, Professionalism and Practice, and Clinic at Vanderbilt University Law School for more than thirty years. From 1996 to 2002, she served on the board of the Federal Home Loan Bank of Cincinnati, which serves banks and thrifts in Tennessee, Kentucky, and Ohio and chaired the Audit and Budget Committees. In 2006, she was one of three finalists for appointment by the Tennessee Supreme Court as state Attorney General. Behm’s practice focuses on business law, municipal law, employment, estate planning, bankruptcy, land use, and commercial litigation. Behm’s advocacy has been lauded locally and nationally. In 2001, she received the John C. Tune Public Service Award, the highest honor given by the Nashville Bar Association. She has been honored with the YWCA Women of Achievement Award, the Athena Award, and the CABLE Promote Women Award. 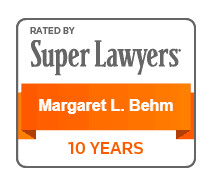 Behm has also received the prestigious Margaret Brent Women Lawyers of Achievement Award, given nationally to only five lawyers a year by the American Bar Association. Behm received the 2016 Lawyers’ Association for Women Judge Martha Craig Daughtrey Award, recognizing her achievements in and service to the legal profession, especially in the areas of promoting women. In 2011, Tennessee State University named her one of its Women of Merit and Legend. 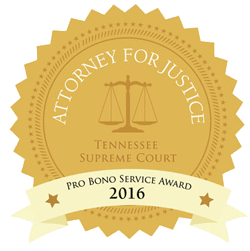 In 2012, she received the David C. Rutherford Award from the Nashville Bar Foundation, recognizing the highest standards of professionalism and charitable contribution in the legal field and community as a whole. She was also named to the 2013 Class of the Tennessee Women’s Hall of Fame, an honor given to women who have made outstanding, unique and lasting contributions to the economic, political, and cultural well-being of Tennessee. Behm has often been called upon to serve on commissions related to the legal system and recognized for her leadership. In 1994, Behm was appointed by the Speaker of the House to the Tennessee Judicial Selection Commission. She was the Commission’s first chair and served as a member for ten years. 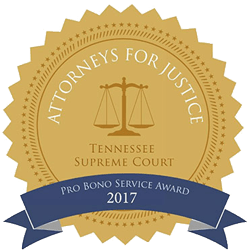 In 2009, Behm was appointed by the Tennessee Supreme Court for a three-year term as chair of the newly-created Access to Justice Commission to help address the growing civil legal needs crisis in Tennessee. 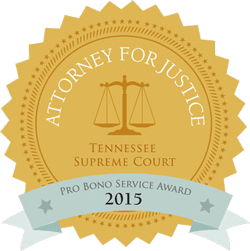 She received the B. Riney Green Award in 2012 from the Tennessee Alliance for Legal Services for her contributions to strengthening access to justice across the state. 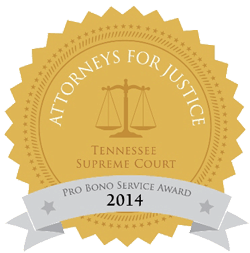 In 2015-2016, Behm led the record breaking fundraising campaign for the Legal Aid Society of Middle Tennessee and the Cumberland’s Equal Justice Campaign. Also in 2015, Behm was inducted into the Tennessee Justice Center’s first Hall of Fame class. In 2017, the Tennessee Supreme Court appointed her to the Tennessee Board of Law Examiners. In addition to her service to the legal profession and matters involving access to justice, Behm is an active community volunteer. Behm was named by Mayor Bill Purcell as co-chairman of Celebrate Nashville, Nashville’s year-long celebration of its 200th birthday in 2006. She has been a key advisor to numerous political candidates and is particularly known for her encouragement of, and support for, women candidates. A big basketball fan, Behm co-chaired with Vice Mayor Diane Neighbors the city’s successful effort to host the Women’s Final Four in 2014. Recently, she served on the selection committee for Vanderbilt’s women’s basketball coach. She is a longtime board and executive committee member of the Nashville Sports Council and was the founder and chair of its Women in Sports Committee. Currently, she is serving her second term as a board member of the Metropolitan Sports Authority, which oversees the professional sports facilities in Nashville, and is the past chair of the Finance Committee. For many years, Behm has served on the board and executive committee of the YWCA. Behm has also been involved with scouting as a Girl Scout leader and member of the board and executive committee of Girl Scouts of Middle Tennessee, Inc. She has also served on the Nashville Downtown Rotary Club Board. From 1999 to 2008, Behm served as a member of the Board of Health for the Metropolitan Health Department. Behm received her B.A. and J.D. degrees from the University of Tennessee. She is married to her law partner Harlan Dodson. The couple has two children.